Since 2005 the University Club has been welcoming staff, alumni and the wider Perth community through its doors. A cornerstone of activity on campus, the Club is a place where staff can meet to work and relax, enjoy a wonderful dining experience, or a quick coffee if that’s all time allows. It is also a place where alumni can gather to continue their connection with the University, meet and network with peers, sharing their UWA experiences past and present. With an award winning dining and cultural experience that further enhances the world class reputation of the University, its premier facilities also attract business and government leaders, strengthening the vital links between the University and these key partners. I hope you enjoy your University Club experience. I look forward to seeing you there. The University Club is fortunate to have the support and guidance of our Board of Advisors, whose vision and commitment have performed a vital role in the continued success of The University Club of Western Australia. 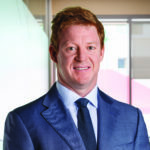 Mark is a Partner of the Australian law firm, Clayton Utz where he is the Perth office Corporate Practice Group Leader and a member of the National Board of Clayton Utz. He is an Alumnus of The University of Western Australia having completed Law and Commerce degrees and was awarded a Full Blue by UWA for achievement in sport. Mark has completed the Harvard Business School Executive Management Program, is an Alumnus member of the Australian Government’s Takeovers Panel and a former WA Chairman and Board member of the Financial Services Institute of Australasia (Finsia). 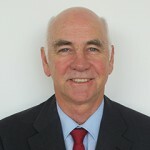 He serves as a member of the Councils of the Hospital Benefit Fund ( HBF ) and is the Chairman of Scotch College. Colin is a graduate of The University of Western Australia, with extensive knowledge and experience as a professional in communications and marketing in both the private and public sectors. 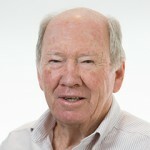 A former senior newspaper journalist he spent eight years with the State Government as media and policy adviser to various Ministers and Premiers. 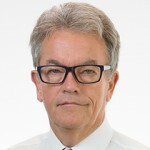 Following three years with ABC Radio as producer of morning current affairs, he joined UWA in 1996, as Director of Public Affairs, and in 2008 was appointed Principal Adviser External Relations and Advocacy to UWA’s Vice-Chancellor and Senior Executive. He now consults privately to organisations, institutions and individuals. Throughout his working life Colin has been an active member and office bearer of a diverse range of community based organisations. 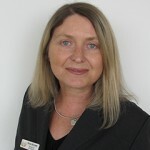 These have included: President of University House Inc.(UWA); Member of the UWA Sports Association Board; Member of the Advisory Board of the Trade, Migration and Development Research Centre (UWA Business School); Member of the Advisory Board of the University Club of Western Australia; Councillor of UWA Council of Convocation; Commissioner Lotterywest; Consultative Board Member of the Perth Convention Bureau; Member of Central Institute of Technology Governing Council, and Member of the Board of Fremantle Press. Alan is an Emeritus Professor and Senior Honorary Research Fellow in the School of Human Sciences. He is a graduate of the University of Cambridge and has a PhD from the Australian National University. He was for some years a member of the committee of the old University House and remains a strong supporter of The University Club because it serves as both a gateway to the community and a place on campus where staff can meet and exchange ideas. 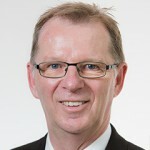 Alan is a member of a number of international Editorial Boards, is a Board Member and Chair of the Research Advisory Committee of the Perron Institute for Neurological and Translational Science, and is a Board Member of Perth Symphonic Chorus. Chris is the Director Student Life at The University of Western Australia. Prior to his appointment at UWA, Chris had more than 12 years’ experience in the Education Sector encompassing secondary teaching, physical education, and managing an educational self-esteem program within Australia and Singapore. Chris also has more than 5 years’ experience in the Health Sector, including two years at the Cancer Council of WA, and three years as part of the Senior executive team at Medicare Australia. with UWA volunteer positions, such as mentoring. International Liaison Partners for BDO Australia. including listing companies on various exchanges, with a particular focus on the ASX,TSX, LSE and AIM exchanges. 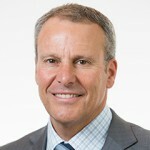 Peter completed a Bachelor of Commerce at UWA in 1998. Ted is Director of the Cultural Precinct at the University of Western Australia. Over the past two decades he has contributed to the national arts agenda through his role as Chair of the Australian Council of University Art and Design Schools, Chair of Artbank, Chair of the Asialink Visual Arts Advisory Committee, Board member of the National Association for the Visual Arts and Chair of the Visual Arts Board of the Australia Council. He is a commentator on the arts for ABC radio and television and is currently art reviewer for The Australian and a regular contributor to local and national journals. Alexander Tan is the President of the Postgraduate Students’ Association at the UWA Student Guild which focuses on representing the best interests of students and boosting the student experience with respect to all postgraduates. His background is in science graduating with a Bachelor of Science (Double Degree) in the Biomedical Sciences specialising in Physiology. Currently, he is completing the Masters of Professional Engineering in the Electrical and Electronic Specialisation. Over his time at UWA, Alexander has been involved with various student clubs, societies, and the Guild where he has developed a variety of skills and satisfy an array of professional interests. After experiencing work in numerous fields ranging from hospitality, commerce, health, and research, his interests have led him to pursue a career that utilises innovation and technology to tackle the global issues of today and tomorrow. 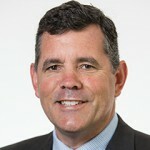 Robert Webster is currently Executive Director of Corporate Services at the University of Western Australia (UWA) where he moved after a decade with RMIT University in Melbourne Australia. He has 30 years’ strategy development, implementation and organisational transformation experience across diverse industries including transport, telecommunications, manufacturing, financial services and government. Robert’s HE experience is extensive covering strategy development, operational planning, institutional research, business intelligence, performance management, student load management, pricing, policy development and compliance, risk management, quality assurance, strategic marketing and organisational change. He holds postgraduate qualifications in education, marketing and business modelling. 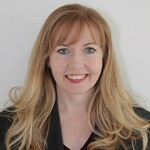 Heather is Head of Wealth Management, Australia at Bell Potter Securities and has over 30 years’ experience in investment advising, providing investors with professional portfolio management. Heather is Chairman of Lotterywest. 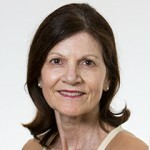 She sits on the boards of WA Ballet, Chief Executive Women, Osteoporosis Australia, the Advisers of University of Western Australia University Club, WA Regional Council of FINSIA and ASIC Financial Services Consultative Committee. Gary has over 30 years’ experience in hospitality at both Executive Chef and General Management level and has worked in leading restaurants, hotels and private clubs in South Africa, Taiwan, Malaysia and England before migrating to Australia, where he was first appointed as General Manager of the exclusive Macquarie Links International Golf Club in Sydney, before joining the University Club in January 2006. Gary is a Member of the West Coast Council of Industry Partners. 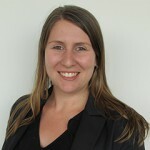 Nicole has over 15 years’ experience in the management of corporate sales and marketing for the hospitality and tourism industry in Western Australia. Nicole started her career with The Melbourne Hotel Perth and has gone on to work for a wide range of organisations including Little Creatures Brewing, Aarons Hotels and Resorts, Mirvac Hotels and Resorts and Australia’s South West before joining the University Club of Western Australia in early 2007. 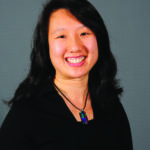 Alexis has come to The University Club from a recruitment and community engagement background. She brings with her a keen interest in building community links and training and development within the hospitality industry. Following her studies at UWA, Alexis started her career by working with disadvantaged groups in WA. This lead to recruitment in this field and finally a move into internal Human Resources. Having served his professional training years with Ernst & Young, Steve moved to London to work in a financial executive role with progressive home furnishings group, The Malabar Cotton Company for 7 years, before returning to South Africa. Since 1995 Steve has gained extensive all-round experience in the hospitality industry operating his own distribution and retailing businesses specialising in craft beers and cheeses, before immigrating and taking up employment with the Club in June 2005. His role at the Club incorporates all financial responsibilities for the University Club , University Theatres and University Hall Catering. Julie has over 10 years’ experience in the hotel industry specialising in events management, as well as an Honours degree from UWA. She has worked at Hyatt Regency Perth, Sheraton Perth Hotel and Bells Estate, and was most recently employed as Conference and Events Manager for Macdonald Hotels and Resorts in Scotland. 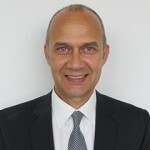 Myles has 30 years’ experience in hospitality management and has enjoyed a career which has taken him around the world. Myles started his career at the Merlin Hotel Perth in 1984 and stayed on with the Hyatt Perth until 1989. Myles left the Hyatt to move to London to work for the Milestone Hotel which is part of the Small Luxury Hotels Of The World brand. Myles moved back to Perth to take on the Operations and Sales Manager role at Heyder and Sheers Catering for a number of years before continuing his career overseas in Canada and Ireland where he worked as the Restaurant Manager at The Shelbourne Hotel . Myles moved his young family back to Perth in 2007 to join the University Club as Food and Beverage Manager for four and a half years before moving to the Pilbara to work as Catering Operations Manager for BHP, KJV, Chevron and Woodside. Myles returned to the University Club in mid-2015 as Operations Manager and oversees all of the Food and Beverage Operations at the Club in addition to the University of Western Australia’s Business School Café which is managed by the University Club. Costa gained a wealth of experience working in 5 star hotels before settling here in Perth. Prior to his appointment with The University Club, Costa was employed as the opening Executive Sous Chef of the Perth Convention Centre. 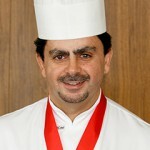 Previous to this he spent 8 years as the Executive Chef at Hilton hotels in both Kuwait and South Africa. Costa has many years of experience working in the Middle East, South Africa and Australia and his food is influenced by a combination of his Greek-Cypriot heritage, the multi-cultural flavours of South Africa and classical western cooking.